Listen to Stefan Ponce's Soulful Remix of Kanye West's "I Love Kanye"
It was bound to (Bound 2???) happen at some point down the line, but we’re just glad a producer as talented as Stefan Ponce managed to do it first. 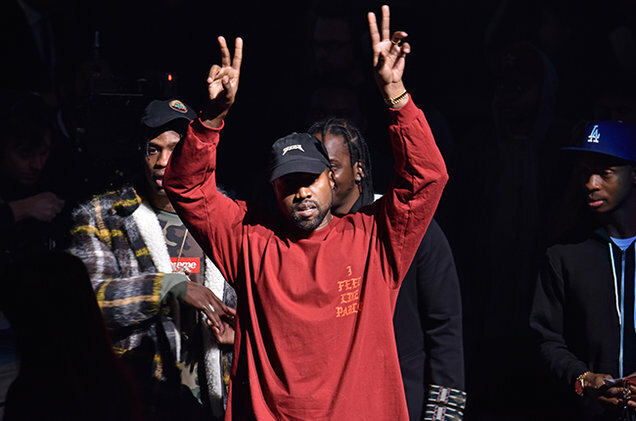 Stefan Ponce, the producer behind such songs as Childish Gambino’s “3005” and the gorgeous “Forever Julie,” has taken it upon himself to remix Kanye West’s acapella track, “I Love Kanye.” The Pablo highlight has zero instrumentation, making it perfect for the remix treatment, and Stefan Ponce’s is no slouch. Turning the brief track into a soulful throwback that recalls early Kanye, Stefan’s remix is the exact thing so many listeners have been pleading Kanye to make ever since he changed gears with 808s & Heartbreak. Listen to his remix below. UPDATE: Ponce says SoundCloud has taken down the remix, but luckily someone archived the remix and put it on YouTube.